SBS chief financial officer James Taylor will serve as the broadcaster’s acting managing director following the departure of Michael Ebeid. 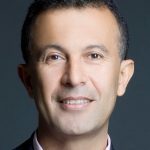 Ebeid will step down after seven and a half years in the role on October 1 to take up a new group executive post with Telstra. Taylor, who joined SBS six years ago, leads the finance, corporate strategy, people and culture, legal and commercial teams as well as SBS Media Sales. He has more than 18 years’ experience in media and telecommunications across corporate and public sector organisations in Australia and abroad. His appointment comes into effect on October 2. In the meantime the SBS board of directors is continuing the recruitment process for the new MD.